High blood pressure can be life-threatening, pure and simple. In fact, high BP (known clinically as hypertension) is a risk factor for heart disease and stroke – two of the major causes of death. Aerobic exercise, a healthy diet and not smoking are three natural ways to lower your risk of high blood pressure, but unfortunately, too many people with high BP turn to medication instead. What about chiropractic care? 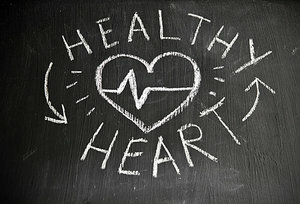 A recent study serves as the latest evidence that chiropractic adjustments may improve blood pressure in the short term, finding that specific instrument-assisted adjustments to the thoracic spine positively affected blood pressure, pulse rate and classification of high blood pressure compared to placebo manipulation or no intervention. Researchers randomly assigned 290 adults with and without hypertension to one of three groups for comparison: an active group, a placebo group and a control group. The active group received instrument-assisted manipulation to T1-T5, while the placebo group received the identical manipulative procedure, except the adjusting instrument was set not to deliver any force. The control group received no intervention (manipulation) whatsoever. Both patients and clinicians were blinded as to whether they were receiving / delivering active or placebo adjustments. "Systolic and diastolic BP, pulse rate, and BP classification decreased significantly only in the active treatment group. No significant changes occurred in the placebo treatment and control groups. ... By category, 46% of [active treatment] subjects improved in early hypertensive or prehypertensive classification – about 4 times more than placebo and 2.65 times better than the controls. Similarly, 51% of Stage I and 57% of Stage II hypertensive patients improved, also better than placebo and control subjects." Back pain, neck pain, headaches - chiropractic care has been proven effective for a variety of musculoskeletal conditions. But the story goes much deeper than that, and research continues to reveal it. So try chiropractic: It's good for your heart.